The publishers 'Banner of Truth' approached me to create a portrait of John Bunyan for the cover of the re-release of this very old autobiographical book," says Danielle Vaughan. "The publishers now have the original large portrait I created hanging in their offices in Edinburgh"
John Bunyan wrote Pilgrim's Progress which is regarded as one of the most significant works of religious English literature,; it has been translated into more than 200 languages, and has never been out of print. It has also been cited as the first novel written in English. 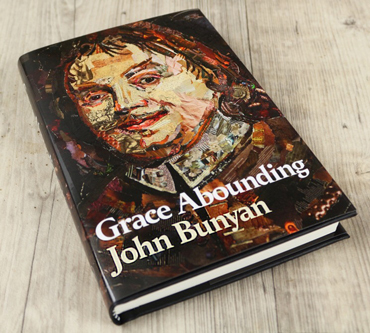 'Grace Abounding to the Chief of Sinners', or the alternative title 'The Brief Relation of the Exceeding Mercy of God in Christ to his Poor Servant John Bunyan' is a Puritan spiritual autobiography. It was composed while Bunyan was serving a twelve-year prison sentence in Bedford gaol for preaching without a license and was first published in 1666. 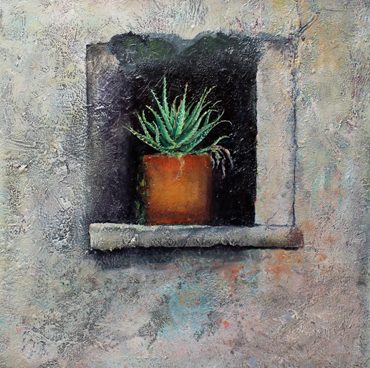 "Grey House in Edinburgh, where the publisher is located is also a bit of a tourist spot for 'pilgrims' who like to visit the building," says Danielle, So my portrait is getting its own little audience."